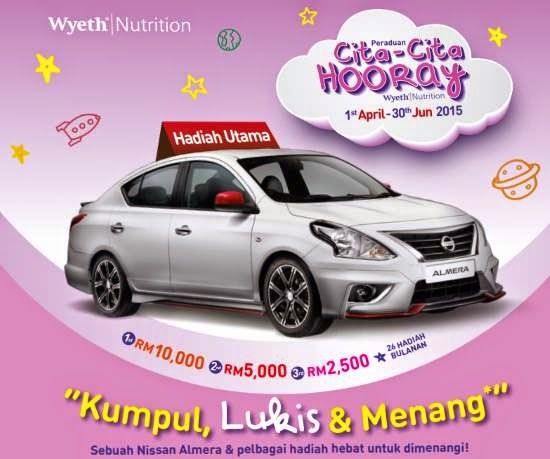 Buy Wyeth Nutrition's participating products to collect points. Drawings by your children will earn bonus points, so do ask them to draw (on the contest form). Fill up your details in the contest form. Cut out the participating products' barcode and attach it together with your purchase receipt to the filled-up contest form, and mail-in your entry. Visit Cita-cita Hooray for more details.